Prostate Tonic with Pygeum is a combination of organic and wildcrafted herbs in a liquid supplement to support prostate health. Now with Pygeum, from the bark of an African evergreen tree known since the 1700's for antii-inflammatory use and as having an affinity for the prostate. Pygeum is a common herbal remedy used in France and other countries in Europe. Supports normal healthy prostate function and size, and normal urinary flow. 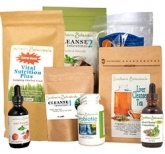 Supplies antioxidant protection to prostate and bladder tissues. This natural remedy is made using a unique blend of herbs that modulate hormones and enzymes. Also diuretic, antioxidant, and anti-inflammatory. Saw Palmetto and Pygeum wotk together as a power combination to give your prostate the support it needs from natural sources! Be on the alert for signs of enlarged prostate! If symptoms continue, a man risks eventually having incontinence, or an inability to urinate, bladder or urinary tract or kidney infections. Further, these symptoms could be the signs of prostate cancer. So best to see your healthcare practitioner to receive a diagnosis, and to rule out prostate cancer. Additionally, some problems may come from too much over-processed, unhealthy food in the diet and use of plastics in food storage. For example, non-organic farmers inject cows and chickens with steroids and growth hormones to make bigger animals and make more money, and those injections can lead to hormone and prostrate problems of all kinds. Another caveat, plastic drink bottles and food packaging and especially cooking in plastics leach estrogenic substances that are taken up by the body. So look for naturally-raised foods and avoid plastic containers whenever possible, or microwaving in plastic. Ingredients (*Organic, +Wildcrafted): Saw Palmetto berry*, Pygeum Bark+, Burdock root*, Nettle root+, and Corn silk*, in a base of distilled water and certified organic GMO-free alcohol. 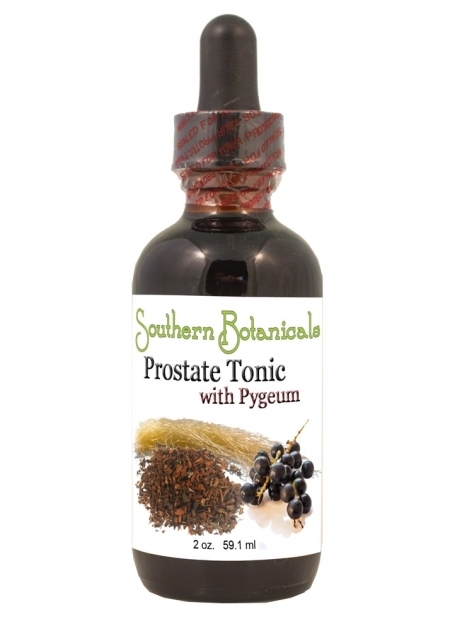 Saw Palmetto Berry - Phytochemicals in the berries help to keep hormone levels in balance, and have played a long term role as a folk remedy in maintaining a healthy prostate. Pygeum Bark - Contains phytosterols such as beta-sitosterols and other phytochemicals like ferulic esters, which show anti-inflammatory action and work together to keep hormone levels balanced. Burdock Root - This root is very popular in alternative medicine because of its blood purification capabilities. Can help dissolve excess minerals. Removes impurities and excesses from the bloodstream, and increases fluid output from the kidneys for elimination of them. Nettle Root - Supports a healthy prostate and encourages urinary flow. Soothing to tissues. Cornsilk - A gentle diuretic that supports and soothes the urinary tract. Take 1 to 2 droppersful 3-4 times daily. May be taken under the tongue or in 2 oz. of water, juice or tea. See our video on the best ways to take herbal tinctures. Works well with Liver Cleanse Duo which helps to support the liver's function of removing excess hormones from circulation.